(Beverly, MA) – March 7, 2017 – Brookwood Securities Partners, LLC (“Brookwood”), the broker-dealer affiliate of Brookwood Financial Partners LLC, a leading real estate investment and asset management company, today announced that Mark Sullivan has joined the firm’s Institutional Sales and Investor Relations group as a Managing Director. The expansion of Brookwood’s institutional sales practice mirrors the firm’s growth over the last several years. Since re-entering the market in 2010, Brookwood has acquired 8,401,327 square feet of real estate worth over $1,200,000,000 and has expanded its staff to 109 employees located in 24 offices across the United States. Brookwood has also recently launched BW Gas & Convenience Holdings, LLC, d/b/a Yesway, a new gas station and convenience store chain with locations in Iowa and expanding across the mid-west, which should have over 1,000 employees by the second quarter of this year. 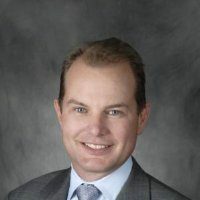 Prior to joining Brookwood, Mr. Sullivan was a Director and Head of Institutional Distribution and Consultant Relations at Keeley Asset Management in Chicago where he was responsible for coverage of North American distribution. Prior to this, he was a Director of Consultant Relations and Business Development at Allianz Global Investor in San Francisco. Mr. Sullivan has a bachelor’s degree in finance and economics from New England College in Henniker, NH.